In the past two years, two scholars have changed the way I think about the Bible. Robert Alter introduced me to the idea of the Bible as literature, specifically a mosaic of literary traditions including the Epic, Dramatic, and even Comedic. And Michael Heiser’s lead me to read more of the intellectual context of the Bible, including the Old Religion of the Canaanites and Pseudoepigraphic work. And now I dived right in to Heiser’s massive — and massively rewarding — Unseen Realm. It is an intimidating combination of great writing and academic weight. This same combination intimidated me from even bothering to post impressions of most of Alter’s translations (with the exception of the Book of Psalms). But it does no good to leave a mental record of regrettable works without recording those which changed my thinking in a good way. Most of what follows is my summary of the world painted in The Unseen Realm. 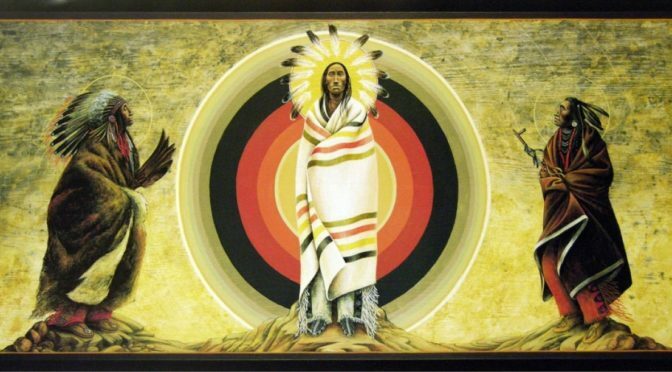 But before I do that, I want to compare it against the two works it is closest to: William Dumbrell’s Covenant and Creation, and The End of the Beginning. Heiser and Dumbrell have spent a considerable part of their life developing an expressing a novel interpretation of the Bible by carefully looking for threats in the Bible. Neither use literalism or obviously favor one set of books over the other. Both can serve to open up the Scriptures, by helping the reader see how the reader’s favorite sections understand to other which are harder to understand. But Heiser is certainly the better scholar. For one, I never feared that Heiser was lying to me, while that is a constant worry reading Dumbrell. From inexplicable and unexplained translation choices, to the silent redefinition of well known terms, to a remarkable blindspot of the meaning of the critical term “Covenant,” Dumbrell’s work is “prophetic” at best, academic malpractice at worst. Dumbrell’s books may well be important in the history of Christian thought — he is the only Christian writer I know who looks forward to not having to follow Jesus and for the Son’s kingship to end — but his logic is so obscured that it’s impossible to tell. Heiser is superior on every level. He is careful with translations, citing rival translations where possible, and discussing how this or that understanding of the ancient text would impact his writing. He is careful with the social context of the work, paying attention to Canaanite, Babylonian, Second Temple, and (elsewhere) Greco-Roman sources of ideas. While Heiser’s work adds a new layer to the narrative of the Scriptures, unlike Dumbrell he does not present a heretical doctrine. Dumbrell’s poor reader has no idea where any of these ideas come from. Heiser is generous in encouraging the reader to follow-up and dig deeper into the sources. With that, I will try my best. What follows is a rough sketch of Heiser’s translation, methods and the broad strokes of his conclusions. 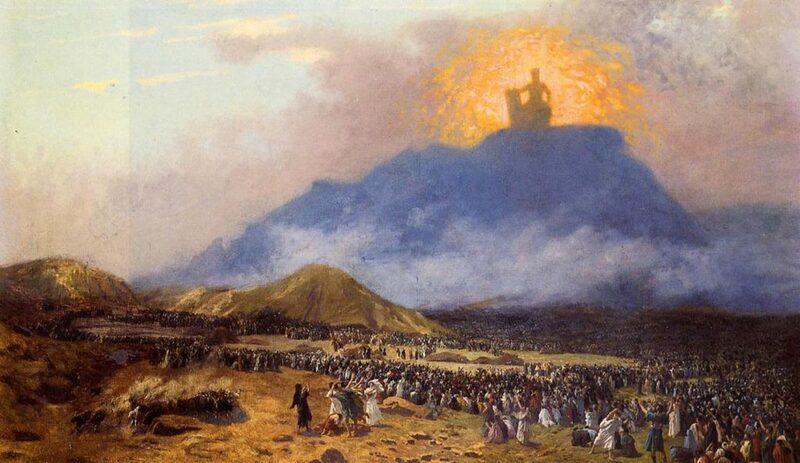 If the Bible would be re-written as a modern drama, where should it start? Heiser’s interpretation implies at at the foundation of the church, with Christ speaking the the words to Peter. shall not prevail against it. Then He commanded His disciples that they should tell no one that He was Jesus the Christ. 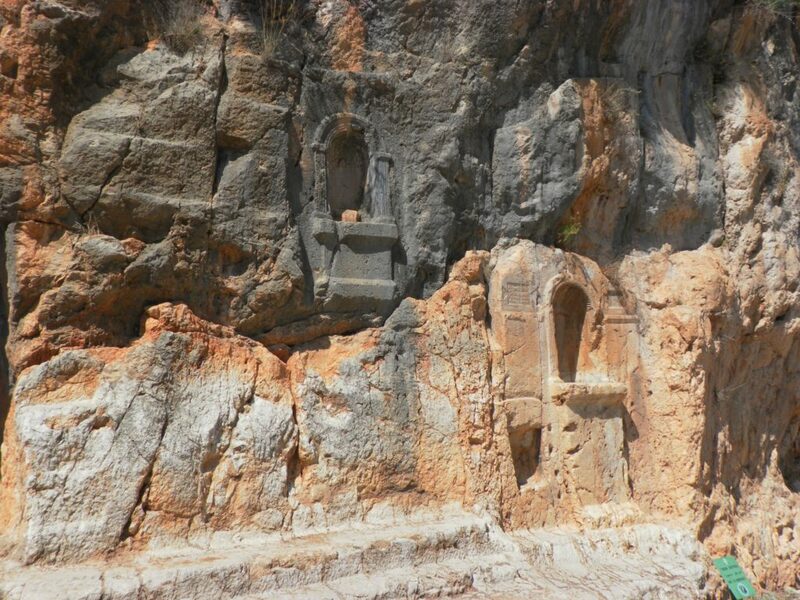 Catholics read “this rock” as meaning Peter, that to Peter and his successors would be the charge of a church that would last to the end of the world. Protestants have tried to argue that “this rock” perhaps means pebble, implying that Peter’s leadership would die with him. Only Heiser, as far as I know, argues in the logic of biblical parallelism. If this verse has parallelism, “this rock” is magnified into “the gates of hell” — which must be referencing Mount Ararat, on whose slopes was the city of Caesari Philipii. Heiser also gives the first reason for the silence I’ve heard: so that those things that live on Ararat do not know either. This is not simply the foundation of a church in Peter, or in Peter’s apostolic successors — it is a declaration of war. And God said, “See, I have given you every herb that yields seed which is on the face of all the earth, and every tree whose fruit yields seed; to you it shall be for food. Also, to every beast of the earth, to every bird of the air, and to everything that creeps on the earth, in which there is life, I have given every green herb for food”; and it was so. Then God saw everything that He had made, and indeed it was very good. So the evening and the morning were the sixth day. But unlike the Only Begotten Son, the First Created Man failed in his Kingship. He listened to his wife and not to God. Corruption entered the world. And it came to pass on the way, at the encampment, that the Lord met him and sought to kill him. Then Zipporah took a sharp stone and cut off the foreskin of her son and cast it at Moses’ feet, and said, “Surely you are a husband of blood to me!” So He let him go. Then she said, “You are a husband of blood!”—because of the circumcision. Then Moses pleaded with the Lord his God, and said: “Lord, why does Your wrath burn hot against Your people whom You have brought out of the land of Egypt with great power and with a mighty hand? And even Moses is fallen at last. The wicked ones win again. Now that the good guys have lost twice in a row, who are the bad guys? What is the opposition that keeps corrupting the pattern that God wants, his first-born son ruling as king of the Earth? Here Heiser, like Dumbrell, is on weaker ground. He seeks a novel reading with limited Scriptural support. here the victory goes to Heiser. While Dumbrell continues on and makes claims without support or explanation, Heiser is open about his approach. And it came to pass when the children of men had multiplied that in those days were born unto them beautiful and comely daughters. 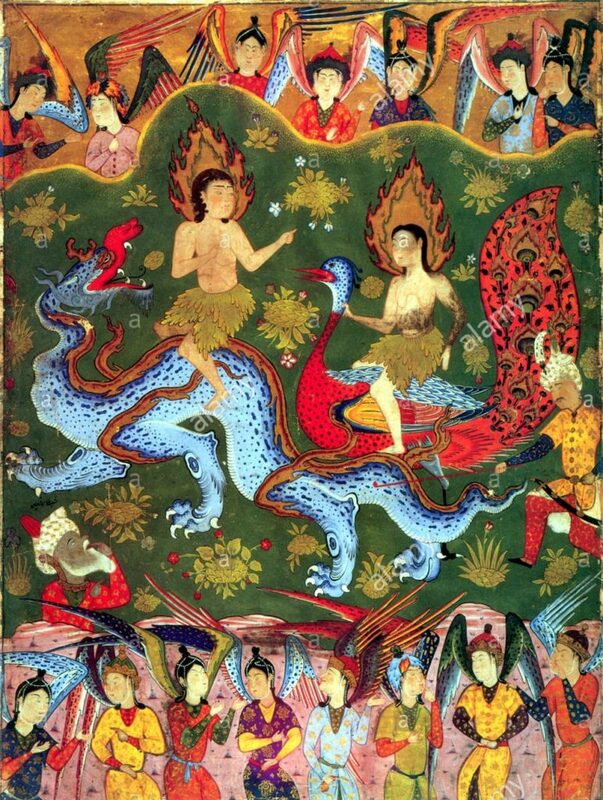 And the angels, the children of the heaven, saw and lusted after them, and said to one another: ‘Come, let us choose us wives from among the children of men and beget us children.’ And Semjâzâ, who was their leader, said unto them: ‘I fear ye will not indeed agree to do this deed, and I alone shall have to pay the penalty of a great sin.’ And they all answered him and said: ‘Let us all swear an oath, and all bind ourselves by mutual imprecations not to abandon this plan but to do this thing.’ Then sware they all together and bound themselves by mutual imprecations upon it. And they were in all two hundred; who descended ?in the days? 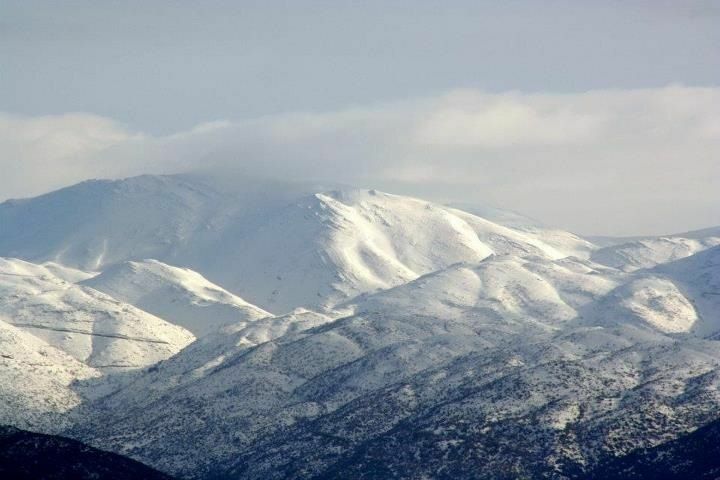 of Jared on the summit of Mount Hermon, and they called it Mount Hermon, because they had sworn and bound themselves by mutual imprecations upon it. The Assembly of the Gods is also an aspect of the stories from ancient Canaan. Do these and other such passages support Heiser’s argument? You should read the book and judge for yourself. What I will say though is that, unlike Dumbrell, Heiser cites his sources and provides accurate translations, allowing you to judge him on his merits, and not through his deceptions. 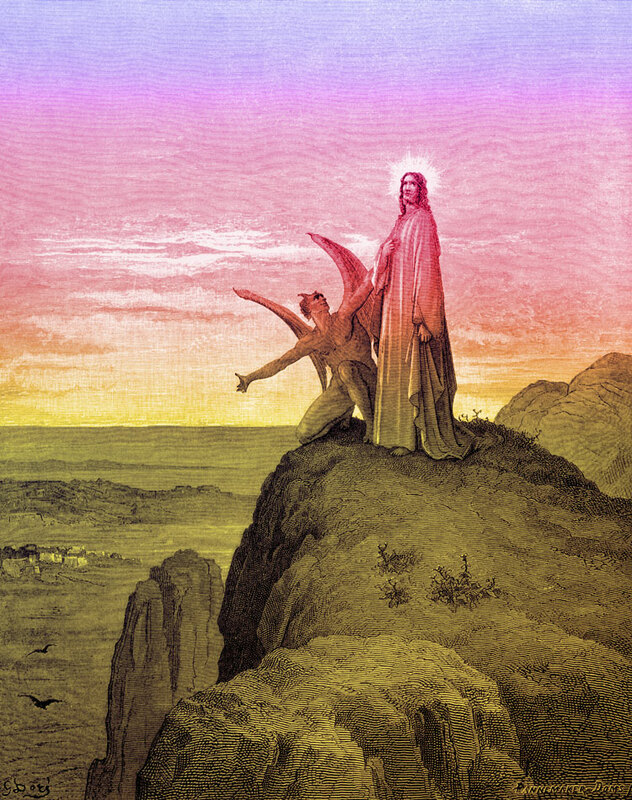 Then the devil left Him, and behold, angels came and ministered to Him. namely, five lords of the Philistines, all the Canaanites, the Sidonians, and the Hivites who dwelt in Mount Lebanon, from Mount Baal Hermon to the entrance of Hamath. And they were left, that He might test Israel by them, to know whether they would obey the commandments of the Lord, which He had commanded their fathers by the hand of Moses. Thus: : A Declaration of War on the slopes of Mt Herman. The promised, and foiled, rule of the first man, Adam. The promised, and foiled, rule of the firstborn Israel. And now things happen quickly. Christ promises it will happen again! This is going to be a suicide mission! From that time Jesus began to show to His disciples that He must go to Jerusalem, and suffer many things from the elders and chief priests and scribes, and be killed, and be raised the third day. Then Jesus said to His disciples, “If anyone desires to come after Me, let him deny himself, and take up his cross, and follow Me. For whoever desires to save his life will lose it, but whoever loses his life for My sake will find it. 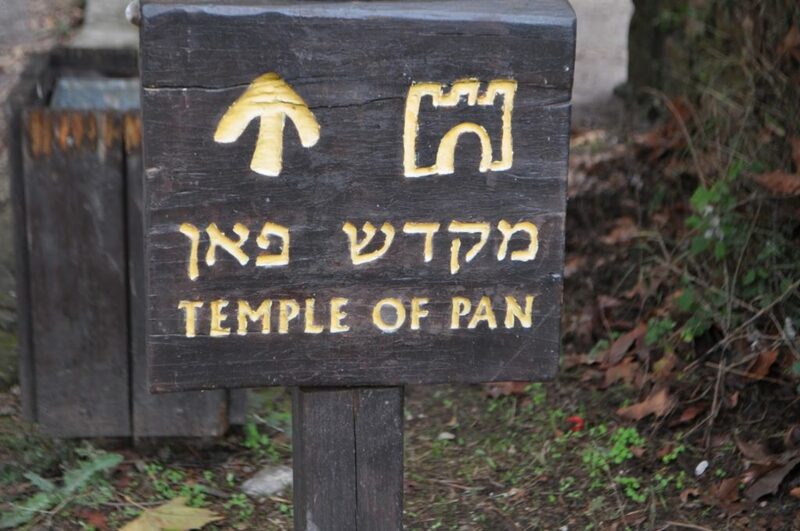 Michael Heiser integrates both Testaments (except the Deuterocanon), Second Temple Literature, and Canaanite and Babylonian stories to present a plausible reading of the Scriptures as they would have been understood by literate Jews of the 1st century. The establishment of the Church is a declaration of war. 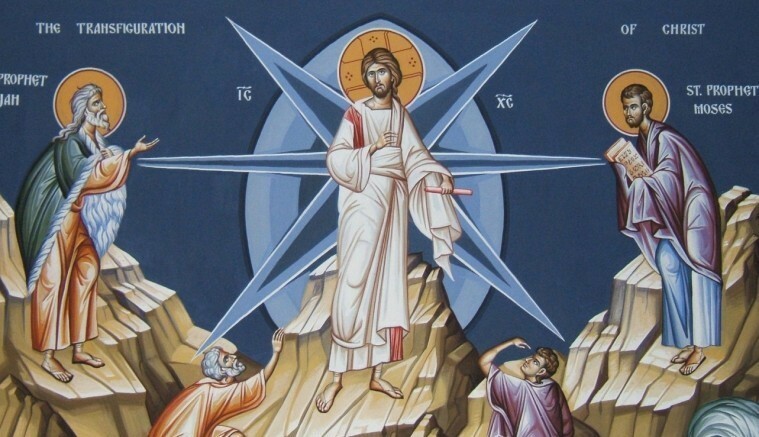 The Transfiguration is its endorsement. The pilgrimage to Jerusalem appears to be a retreat, the Crucifixion the decisive battle — where Christ defeated Death – or rather the rebellious Sons of God — in a stunning entrapment. For it pleased the Father that in Him all the fullness should dwell, and by Him to reconcile all things to Himself, by Him, whether things on earth or things in heaven, having made peace through the blood of His cross. Whether or not you agree with Michael Heiser, like The Lost World of Genesis One, Judaism and Christianity: A Contrast, and The Crucified Rabbi, it should be ready by anyone looking to critically understand the Bible. 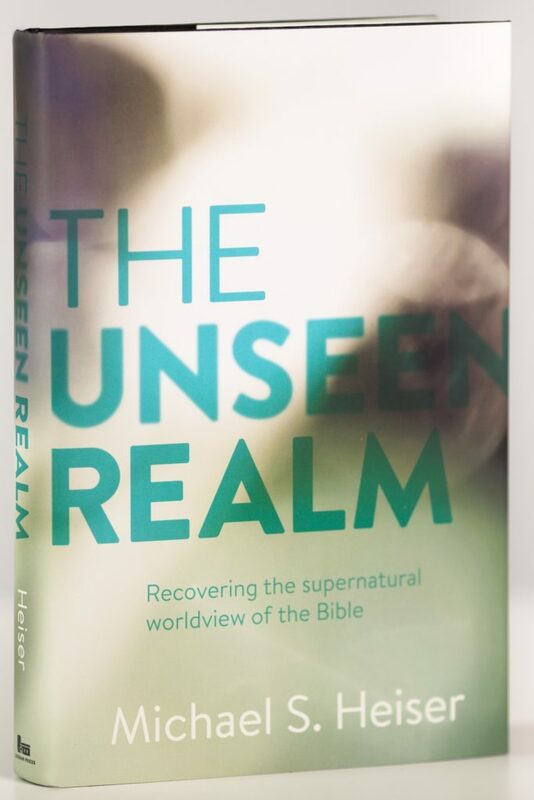 I read The Unseen Realm: Recovering the Supernatural Worldview of the Bible in the Audible edition.